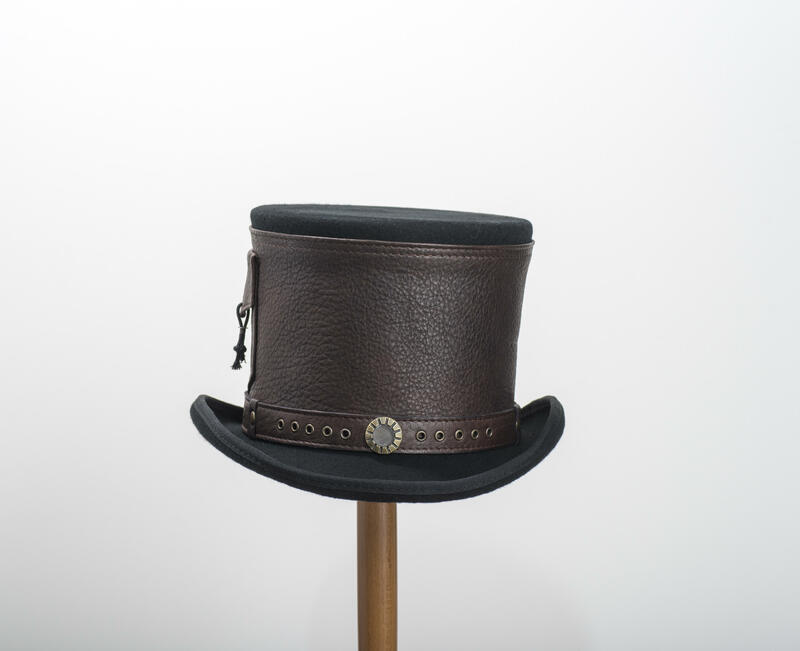 A Steampunk styled top hat with a genuine brown leather laced band with metal detail and a decorative side pocket. 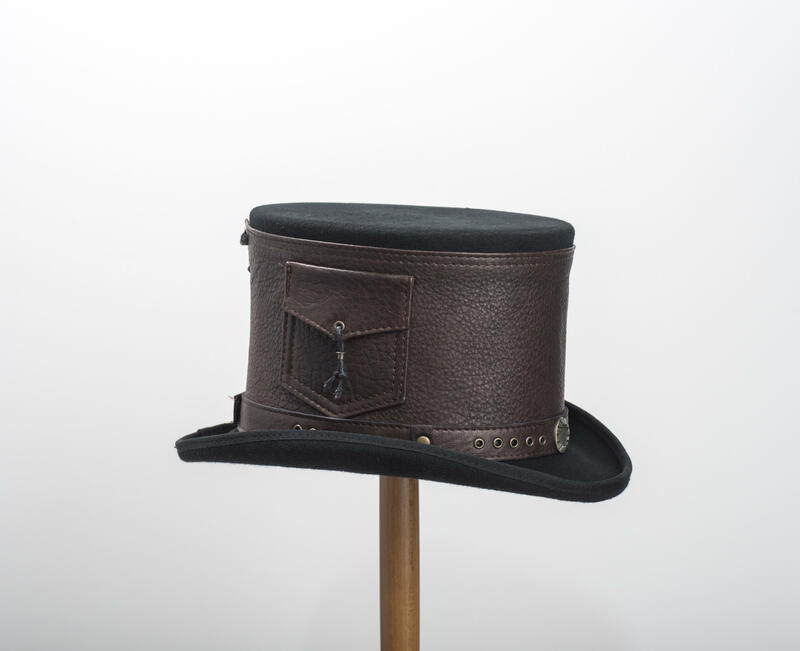 This quirky hat comes with a FREE pair of Steampunk goggles for you to style the hat with, or wear. 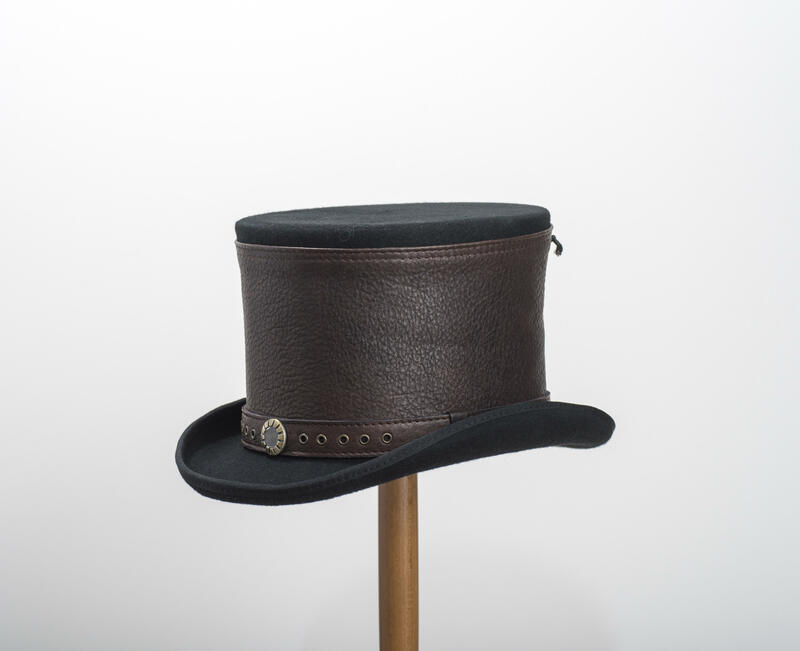 This black classic style top hat is handmade using 100% Wool with a purple satin lining and a leather sweatband. Available in 4 sizes.